Senior Ross Dant will be travelling to Savu, Fiji, to complete in the Jr. Pan Pacific Championships from August 23-26, 2018. 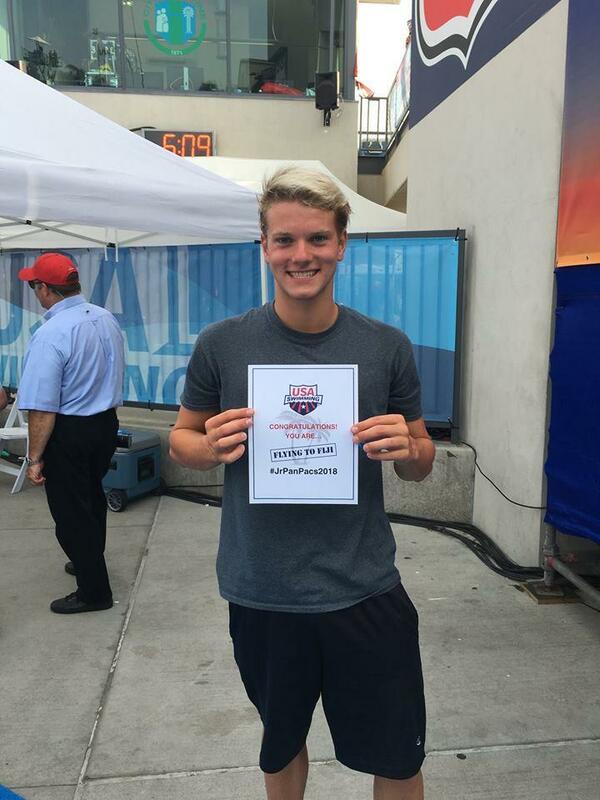 Ross earned his spot on the National Junior Pan Pac team while at the Phillips 66 National Championships in Irvine, California (July 25-29th). Ross has been a member of the National Junior Team during the 2017-2018 season, also having the chance to represent team USA in Vancouver, British Columbia earlier this year. Ross swims year round for Hickory Foundation YMCA, as well as for Newon- Conover High school. At the 2018 state 1A/2A meet, Ross earned the school their first state championship title by breaking two state records (500 freestyle and 100 back), earning him the Most Outstanding Male swimmer award. After Discovery, Ross will he heading to North Carolina State University to continue his education as well as his swimming career.